Malaysia’s opposition-led Senate blocked an effort to repeal a law against “fake news” on Wednesday (Sep 12), presenting the first major challenge for the new government of Prime Minister Mahathir Mohamad. Malaysia has no intention of abandoning China’s Belt and Road Initiative (BRI) and will continue to forge a closer relationship with the world’s second largest economy. Malaysia’s Anwar Ibrahim will contest for a seat in the country’s parliament, his party announced on Wednesday, as a party MP resigned to make way for the senior leader just months after their coalition won a shock May general election. THE Malaysian residential property market has experienced five consecutive years of slowdown in terms of declining sales volume since its peak in 2012. However, the falling sales volume did not drive down the total value of transactions until 2015. Sunway Bhd’s unit Sunway Developments Pte Ltd (SDPL) has secured a 4.46-acre land to undertake a S$271 million (RM817.17 million) executive condominium project from the Housing and Development Board of Singapore. The government is expected to announce a new mechanism for fuel subsidy early next year while ensuring that it would not require a huge allocation for the purpose. Recent studies revealed that 61 per cent of Malaysian adults are physically inactive, pinning Malaysia on the globe as one of the least physically active countries. Digital adoption is relatively low for businesses, even though the country as a whole has a high level of digital adoption, with only a small share of businesses pursuing deep digital adoption and small firms falling especially far behind, on the backdrop of high prices and low coverage for broadband. The plastic and packaging sector’s capacity expansion plans are on track, analysts observe, but also note that their main concern is margin compression. Malaysia Airlines Bhd (MAB) said overcapacity has led to a worldwide pilot shortage, further exacerbating the situation and hampering the carrier’s growth. Sapura Energy Bhd has entered into a Heads of Agreement with Austria’s OMV Aktiengesellschaft (OMV AG) to form a strategic partnership through the acquisition of a 50 per cent stake in its unit, Sapura Upstream Sdn Bhd, at an enterprise value of US$1.6 billion (RM6.63 billion). ANWAR Ibrahim, in line to become Malaysia’s next prime minister, sought to reassure foreign investors concerned about recent decisions to scrap several high-profile infrastructure projects in a bid to reduce debt. Japan and Malaysia have signed an agreement to expand defence co-operation, the Ministry of Defense (MoD) in Tokyo has announced. Singapore-listed ARA Asset Management Ltd would consider acquiring retail, commercial and logistics properties in Malaysia, its chief executive officer for Malaysia Thomas Kong said, adding that these properties would have the potential to generate attractive and stable returns within a three- to five-year time frame. The founders of Unisem (M) Bhd John Chia, his son Alexander Chia, Jayvest Holdings and SCQ Industries (Malaysian parties) have offered to take over the company with some China-based partners for RM1.817bil after certain conditions are fulfilled. Malaysian police are on the hunt for two men who were caught on camera putting a cat into a clothes dryer at a laundromat before turning the machine on. Malayan Banking Bhd (Maybank), through its Maybank2u website, has introduced new digital financial planning tools to help customers plan their savings, monitor their insurance and keep up-to-date on their financial goals. MyEG Services Bhd’s sub-subsidiary Agensi Pekerjaan MyEG Jobs Sdn Bhd has received a licence to conduct matters relating to private employment agencies from the Department of Labour of the Ministry of Human Resources. Malaysia Airports Holdings Bhd’s (MAHB) network of airports including Istanbul Sabiha Gokcen International Airport (ISG) recorded a 2.9 per cent year-on-year (YoY) growth to 11.8 million passengers in August. Malaysia and South Korea have to delve into new areas of cooperation to enhance trade and bilateral ties, the Secretary General of the Asean-Korea Centre, Ambassador Lee Hyuk said. Sapura Energy Bhd president and CEO Tan Sri Shahril Shamsuddin said today it will look at selling a stake in Sapura Upstream Sdn Bhd, rather than a listing exercise, for certainty in timing and valuation. The Rural Taobao initiative by e-commerce giant, Alibaba Group, which has assisted villagers in China to increase their income, could be adapted and give impetus to Malaysians, said Malaysia Digital Economy Corporation Sdn Bhd (MDEC). Nazir Razak, chairman of CIMB Group, Malaysia’s second-biggest bank by assets, talks about the country’s and the region’s economies and policies, and the selloff in emerging markets. RAM Ratings has reaffirmed the AAA(s)/stable rating of Aquasar Capital Sdn Bhd’s (Aquasar Capital) RM1,500 million Sukuk Murabahah Programme (2014/2029). Economists expect the ringgit to trade between 4.1372 and 4.1390 against the US dollar this week due to the ongoing trade friction between the US and China as well as the direction of the Turkey’s central bank policy rate. Malaysia’s Refinery and Petrochemical Integrated Development (RAPID) project, a venture between Petronas and Saudi Aramco, is seeking commitments from banks for a US$9.7 billion, 15-year loan, sources told LPC, a fixed income news service. Malaysia should adopt four important policy goals to unlock the full potential of its digital economy, which includes addressing its biggest impediment, the cost of broadband. 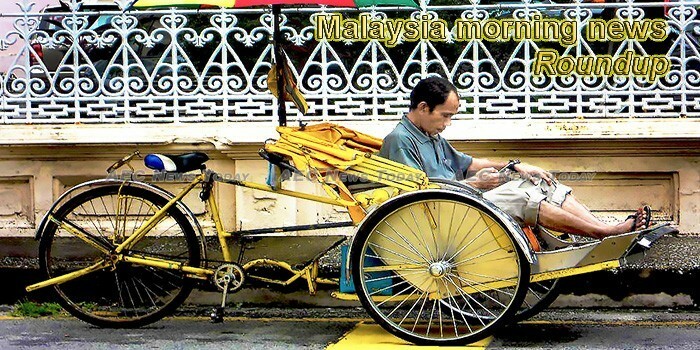 Malaysia may well be most popular and utterly loved for its delicious food and for being a melting pot of cultures. Following the announcement of the new iPhone XS, iPhone XS Max and iPhone XR, Apple has reduced its pricing for its older iPhone 7 and iPhone 8 models in Malaysia. Race and religion are included in the national identity card. The religious choices and practices of Muslims are subject to most restrictions. A woman in dark sunglasses steps out of the car in front of a swanky hotel in the city, and the concierge rushes to her aid – wheelchair in tow.